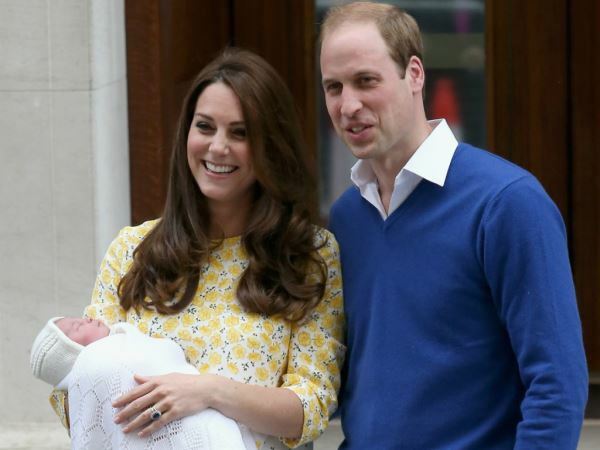 Britain's Duke and Duchess of Cambridge are said to have been enjoying family time with their new baby. The royal couple welcomed a second child, daughter Charlotte, on Saturday and delighted the world by stepping out with her hours after Catherine gave birth. Since leaving St Mary's Hospital in London the proud parents, along with Charlotte's big brother, 21-month-old Prince George, have been getting to know the latest family member. "[They] have been enjoying nice, private family time," a source told People magazine. "It's a terribly exciting time for them." Catherine will now take some time out from royal duties, but Prince William is expected to return to work in the next few weeks. He occupies the role of an ambulance pilot, working for the East Anglian Air Ambulance Service which is based near his family home, Anmer Hall in Norfolk. "They are very settled, his job is set, they have their house, and the status quo hasn't changed in the royal family at large. So they are looking forward to a period of calm," the insider said. The new royal's name was revealed two days after her birth, with it thought William and Catherine waited until his grandmother, Queen Elizabeth II, had been informed. Her full name is Charlotte Elizabeth Diana, in memory of William's late mother Diana, Princess of Wales, along with paying homage to his father Prince Charles and the monarch herself. Patrick Jephson, Diana’s former private secretary, recently spoke about why the name was so important. “I'm sure it will prove an inspiration to the young princess as she grows up and comes to terms with her own royal duties, because her late grandmother's example would be very hard to beat,” Patrick said.